For two millennia and more, sun-drenched aromatic dates have been prized for their rich nutritional properties and delectable taste. Today, natural dates are among the most succulent sources of potassium, fiber and other essential nutrients. 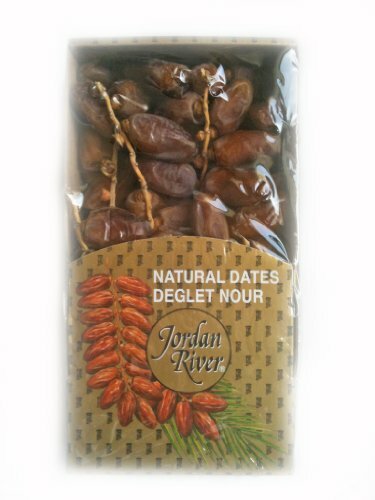 Deglet Nour means "Date of Light" in Arabic and it is traditionally the most popular Jordan River date, known for their exquisite flavor. Grown by members of the Hadiklaim Cooperative, Hadiklaim date farms, from large kibbutzim to small private family growers, stretch the length of Israel, from the Sea of Galilee to the Dead Sea region, from the Arava Desert to Beit Shean Valley. If you have any questions about this product by Delilah, contact us by completing and submitting the form below. If you are looking for a specif part number, please include it with your message. Da Zao (Hei) (Jujube Dates) Medicinal Grade Chinese Herb 1 Lb. Large Medjool & Barhi Combo - 2.5 Lbs.